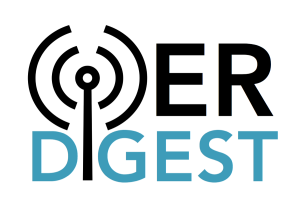 HAPPY EARLY OPEN ED WEEK: On behalf of the OER Digest team, we wish everyone a happy 5th Open Education Week! Congratulations to everyone on their successes from this past year and we look forward to celebrating the week with you both online and in person. Follow all the events by searching #OpenEducationWk on Twitter. ACRL OER PRECONFERNCE: Yesterday SPARC’s Nicole Allen and Open Textbook Network’s Sarah Cohen hosted an ACRL Preconference entitled “Running Effective OER and Open Textbook Initiatives in Your Academic Library.” The event had more than 70 participants in attendance who left the day long workshop ready to take action on their campuses! Check out the highlights on Twitter by searching #LibOER. RECAP OF OE GLOBAL: OEGlobal 2017 featured over 111 sessions including 80 presentations, 14 action labs, 7 panel discussions, 1 flipped presentation and 9 poster presentations. The conference had a global reach with attendees from 38 countries. Presentations from the event are available here. STATE LEGISLATION UPDATE: A number of bills are moving through state legislatures across the country related to OER. A bill in Virginia was sent to the Governor that creates the Online Virginia Network Authority and requires the reduction of program costs through open access. Another bill was recently introduced in New Jersey requiring institutions of higher education to offer open textbooks. OE GLOBAL 2017: The OE Global Conference is currently underway in Cape Town, South Africa. Each year the conference brings together leaders in open education from across the world and is organized by the Open Education Consortium. Tonight, the winners of the Open Education Awards for Excellence were also announced. Prior to this year’s event, there was also a workshop marking the 10-year anniversary of the Cape Town Declaration. Follow the conference on Twitter using the #OEglobal. OER + IR: A new article titled Open Educational Resources and Institutional Repositories by Christine L Ferguson explores the ways in which libraries create and store open educational resources (OER) in institutional repositories (IR). The article addresses issues such as preservation and versioning of OER content, copyright and licensing, funding, and staffing and features interviews and literature from institutions such as the University of Minnesota, the University of Kansas, and Grand Valley State University. IWD 2017: In recognition of International Women’s Day, the OER Digest team congratulates and thanks all of the amazing female OER leaders we are so fortunate to have in this movement. Kudos to you all for your continued dedication in championing open education initiatives around the world!